Skin care, by far, is one of the most popular industries where aromatherapy essential oils are utilized. It is but logical to expand the use of essential oils from treatments to products used in day-to-day living. Due to increasing awareness of the general public of its benefits it cannot be avoided to fuse this natures gift to practical applications. Regardless of gender, people would have the tendency to be ahead of the rest with the use of these products. Aromatherapy products are commercially marketed but it is highly advised that these skin care products be made at home instead. Home-made essential oil applications are recommended for fear that commercially marketed products have low content of essential oils and other manufacturers even use fragrance oils as substitute diminishing the actual value of the product through degrading quality. In selecting the appropriate essential oils to use in an application it is best to refer to the guidelines set for safety and caution. The benefit of using aromatherapy skin care products is you get no preservative or any other artificial chemical component like colorings and fragrances that can cause skin irritation especially to sensitive skin. Another benefit of making your own homemade facial is the flexibility of the blend formula according to your skin type, for example you can add more base oil to increase moisturizing effect on your skin. For oily skin, select base oil or essential oil may be used to control the production of skin oil like Jojoba oil. Below is a guide you may use to create blends for cosmetic purposes. 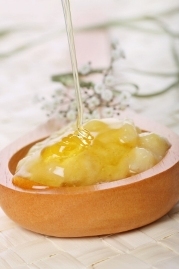 The base products for homemade facial cleansers are clay, carrier oil and unadulterated honey or plain-pure-yogurt. Best examples of clay are French green clay, Fullers clay, Bentonite and Redmond clay. You can find the ingredients here. The ratio of the mixture must be a teaspoon of clay and honey/ yogurt and a drop of the essential oil of choice. Dilute the mixture in water as needed then it is ready for application. To use, just place 3-6 drops of the essential oil with 1 ounce of carrier oil. Mix well until blend completely. Take half to one teaspoon for topical application. The essential oils preferred in this combination are neroli, Rose or if it is expensive you can use Rose Hydrosols and Lavender. The mixture is composed of up to 1-3 drops in an 8 ounce of water for dilution. Aromatherapy facial scrubs are made of flour (corn, oat, or hemp), ground seeds, nuts or a combination of all three and place in a cool dry container for storage. After application, the mixture must be rinsed off of the skin completely. For dry-skin types you may add more drops of the carrier oil to make for moisturizing. Clean your face before putting the blends on it. Pour a few drops of the blends on your palm and dilute with additional distilled water or hydrosol, an aromatherapy facial toner can be used as well. Mix the combination and apply by massaging to the skin. For dry skin types, it is advised to rinse the face with water and then apply the blend without diluting. Repeat this twice in an application. You will need one or combine of these ingredients: honey, flour, yogurt and clays. If you want to combine 2 or 3 ingredients make sure you have it prepared first before blending. Mix well until uniform. Once done add the essential oil selected to up to 2 drops and then mix. Apply to your face, let it sit for up to 15 minutes and rinse after that.